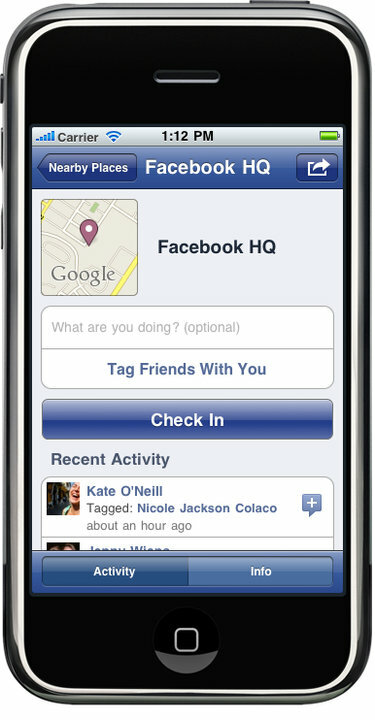 It’s been rumored for months, but it’s finally here: Facebook Places, the social networking giant’s answer to location-based applications like Foursquare. Announced on Wednesday evening, Places is meant to be the next big revolution in Facebook. I’m admittedly a little skeptical. Checking In with Friends – Like Foursquare, Loopt, and other similar location-based apps, you can “check in” at a location and see if any of your friends have checked in there recently. Tagging and Control – In an ongoing theme of “It’s about the privacy, stupid!”, Facebook has programmed in a ton of privacy controls to allow you to choose who sees your check ins, whether or not people are allowed to check you in with them at a location, etc. Have you played with Places yet? If so, reply below with a comment! This entry was posted on Wednesday, August 18th, 2010 at 9:14 pm and is filed under Uncategorized. You can follow any responses to this entry through the RSS 2.0 feed. You can leave a response, or trackback from your own site.